Dubai imports reached Dh798 billion in 2017. Dubai's non-oil foreign trade reached Dh1.302 trillion ($354.48 billion) in 2017 compared to Dh1.276 trillion in 2016, cementing Dubai’s position as a global hub for trade despite the challenges faced by the global economy. Commenting on the results, Crown Prince of Dubai and Chairman of the Dubai Executive Council, HH Sheikh Hamdan bin Mohammed bin Rashid Al Maktoum, praised the growth of Dubai’s non-oil trade in 2017. Dubai’s competitiveness, he said, plays a key role in attracting investments from around the world, which seek to take advantage of Dubai’s position as a regional and international trading hub. He said that enhanced competitiveness supports the effort to ensure the national economy achieves the top ranking in various global competitiveness indices in line with the guidelines of UAE President His Highness Sheikh Khalifa bin Zayed Al Nahyan, and the vision of Vice President and Prime Minister of the UAE and Ruler of Dubai His Highness Sheikh Mohammed bin Rashid Al Maktoum. "Trade is one of the key sectors that drives Dubai’s growth as a major global trading hub, which is supported by the emirate’s long heritage of being a gateway for global trade. The current growth of its non-oil foreign trade is an indication that we are on the right path of revenue diversification," Sheikh Hamdan said. "Dubai’s external trade growth reflects global economic trends, especially in the areas of communication and information technology. This is driven by the national economy’s focus on innovation and creativity, and our leadership in adopting artificial intelligence technologies in various sectors. There is no doubt that Expo 2020 will showcase our unique economic experience and our ability to establish global leadership across sectors," he said. 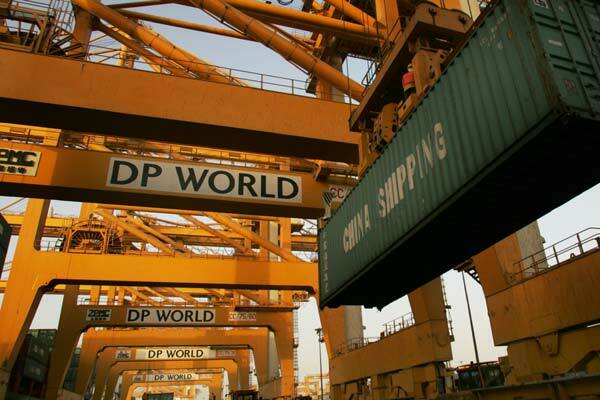 Sultan Ahmed bin Sulayem, Group Chairman of DP World and CEO and Chairman of Ports, Customs and Free Zone Corporation (PCFC), said that the exceptional performance of the foreign trade sector has been driven by Dubai’s advanced infrastructure. "The services provided by Dubai Customs for traders and investors add significant value to their investments. The Authorized Economic Operator (AEO) programme, which we developed and launched under the umbrella of the UAE’s federal customs further enhances our offerings and services for investors and traders, and helps them further enhance their revenues," Bin Sulayem said. Meanwhile, Dubai’s non-oil foreign trade conducted through land transportation grew 4.1 percent to reach Dh241 billion in 2017, while sea trade grew 3.3 percent to Dh467 billion and air trade reached Dh594 billion. China maintained its position as Dubai’s biggest trading partner in 2017 with Dh176 billion worth of trade or 13.6 percent of the total value, followed by India with Dh99 billion representing 7.6 percent of Dubai’s total non-oil foreign trade. The US came third with a total of Dh85 billion or 6.5 percent of Dubai’s total trade. Saudi Arabia is Dubai’s leading business partner among GCC and Arab countries, and its fourth biggest trading partner, with trade worth Dh58 billion, representing 4.5 percent of Dubai’s total trade with the world. Mobile phones topped the list of high-value commodities in Dubai’s foreign trade in 2017, with Dh174 billion. This supports Dubai’s transformation into the world’s smartest city and its growth as a major regional and global trading hub for ICT products, the report said. Next on the list was gold with Dh159 billion, followed by diamonds at Dh105 billion. Vehicles came fourth at Dh70 billion.